Dana is an expert at sales and marketing alignment, as her results would indicate. Technology marketing leader Dana Prestigiacomo has worked with some of the giants in the industry – including IBM and Thomson Reuters – and has now joined Chief Outsiders, in a bid to help offer global marketing insights to the firm’s client base of mid-market businesses. 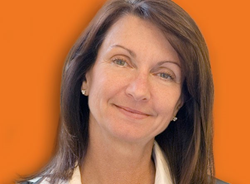 Prestigiacomo, who has joined Chief Outsiders’ Northeast team of fractional CMOs, brings with her more than 25 years of experience in delivering results to a wide range of SaaS, cloud, hardware and software companies, from high growth startups to Fortune 100 businesses. Most recently, while VP of Global Marketing at backup and disaster recovery firm Datto, Prestigiacomo transformed the company’s marketing strategies to support its growth initiatives and new product launches, fostering a 200 percent increase in lead generation activity. Prestigiacomo’s insightful approach to marketing helped to lead a transformation of field marketing at CA Technologies from a sales support function to a lead generation and metrics-driven organization, resulting in a 10X increase in high-value sales leads; she achieved similar stellar results while shepherding marketing, branding and strategic activity for Thomson Reuters and IBM. Prestigiacomo has a Bachelor’s degree from the University of California, Davis. She resides in Rhode Island, and currently serves as a commissioner on the Jamestown, RI, Planning Commission. Chief Outsiders, LLC is a nationwide "Executives-as-a-Service" firm, with more than 60 part-time, or fractional, Chief Marketing Officers (CMOs) engaged from coast-to-coast. Unlike other strategic marketing and management consulting firms, each CMO has held the position of VP Marketing or higher at one or more operating companies. Chief Outsiders have served on the executive team of over 600 client companies to drive growth strategy and execution plans for a fraction of the cost of a full-time executive. Because of its market-based growth plans, quality of leadership, and experienced team, Chief Outsiders has been recognized for the past four years by Inc. Magazine as one of the 5,000 fastest growing privately held companies in the US, and was recognized in the Houston Business Journal's Fast 100. Chief Outsiders’ CEO Art Saxby and Principal Pete Hayes are the co-authors of “The Growth Gears: Using a Market-Based Framework to Drive Business Success,” an Amazon #1 best-seller for business owners and CEOs. For additional information about the companies who trust Chief Outsiders as their premier source for business growth acceleration, click here.